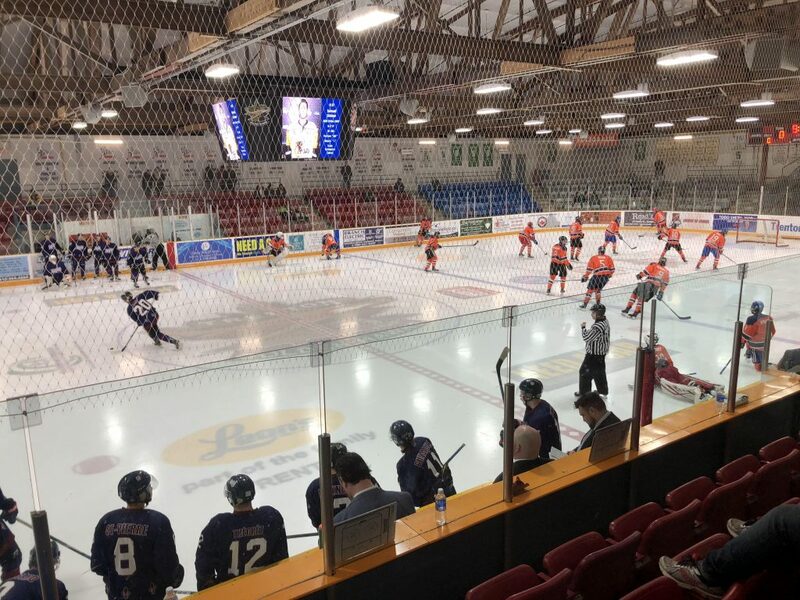 TRENTON – Two hundred and forty of the best Junior A hockey players in Canada have come to Quinte West to try and put themselves on the map at the Eastern Canada Cup tournament in Trenton. The tournament has returned for its second year in a row. It is made up of all-star players from five different Canadian Junior A leagues and is a large feeder system for College hockey in both Canada and the United States. Two local players in the tournament are Trenton Golden Hawks defenceman Mike Mannara and Mason Hardy. Mannara has committed to play at Lake Superior State University in Michigan, but he says he understands how important this tournament can be for his career. “There are NHL and college scouts here, all of us know that we have to perform,” he said. Mannara also says that he considers this a tryout for the World Junior A challenge which is an international competition for Junior A level players. Mason Hardy has not committed to playing anywhere next season. He says that several scouts have reached out to say they are watching his play and are interested. Rob Ridgley, head scout of the Wellington Dukes, agreed it is an important opportunity. “Lotta NCAA schools are looking at the current recruits that they have and that they have already committed to, they wanna see where they are in their development,” he said. The stands are filled with the parents of players. One of those parents is Vince Panetta. He has already had one son play in this tournament and move onto play at college. Now another son, forward Daniel Panetta is hoping to make an impression. Most players at the tournament are 19 and 20 years old, Panetta’s son is only 16. “It’s important to see how he handles the bigger and older kids and if he can still stand out,” he said. The tournament ended Wednesday night.